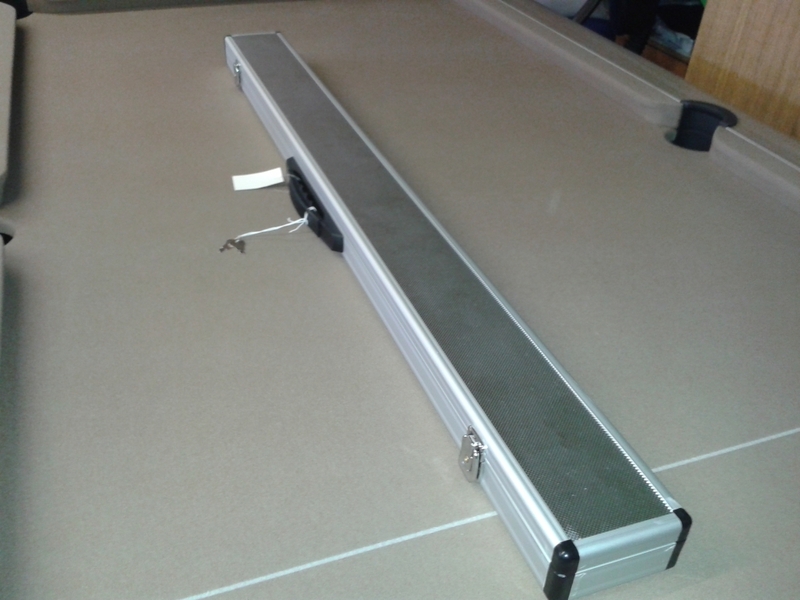 3 sections wide, designed to hold a spare shaft or ideal if you carry different size extensions around.A durable case with aluminium sides, the case top & bottom are of a different material with aluminium affect sheeting. Locking catches and robust carry handle. Finished with grey foam interior. To hold shaft lengths up to 43.75". Slightly shorter in length than most other 3/4 cases, so please measure your shaft length first.The picture shows a black foam, but the case we have in stock are with grey coloured foam.